Last week we talked to Dr. Shawn Baker about different aspects of the carnivore diet and the quality of meat raised in pasture versus indoors. This week, we explore the impact of modern food sourcing on humans, is seasoning meat yea or nay, and how what's the scoop on how carnivores poop. If you missed the first half of this interview, you can catch it here. Dr. Shawn Baker is an orthopedic surgeon, a multi-sport world record setting athlete, a father, antidote for a broken health-care system, citizen science enabler, and a Carnivorous Anti-Hero. You can connect with Shawn through his website, the Carnivore Training System, his podcast, The Human Performance Outliers, and on YouTube, Twitter, and Instagram. 02:01 ~ Could food reactions be attributed to the way food is raised and how it is processed and consumed? 07:41 ~ There are different ways of following an all-meat diet. Some people use seasonings such as garlic, onion, and hot hot sauce, while others don’t even use salt. What Dr. Baker recommends. 09:38 ~ Dr. Baker's most important advice. 10:53 ~ Reasons people move to the carnivore diet. 15:46 ~ What's the scoop on carnivore poop? 22:23 ~ Where the medical system fails in health. 29:56 ~ How long you should be on the carnivore diet before you know if it's for you. Our guest heretic today is the hardest working woman in nutrition, Chef Alison Negrin a Consulting Chef, Culinary Instructor, Sustainable Food Consultant, and an advocate for Farm to Institution programs. In today's show, Chef Alison talks about how she became involved in improving institutional food, the challenges involved, as well as the successes and future of nutritious and sustainable hospital menus. Alison graduated from UC Berkeley with a BFA in fine arts, California Culinary Academy as a professional chef, and the Bauman Institute of Holistic Nutrition with a certificate in nutrition consulting. She is a lifelong learner and has finished various certificate programs to include Cornell University and the Culinary Institute to increase knowledge of nutritional healing. Alison has served on the board of directors for the non-profit organization, Wellness City Challenge for 5 years. The organization works to mobilize community resources to educate communities around health and nutrition. You can connect with Chef Alison through her website, Chef Alison Negrin & Associates,Facebook, Twitter, Pinterest, Instagram, and LinkedIn. 08:12 ~ Chef Alison's aha moment when she knew that something needed to be done to bring real food to healthcare settings. 14:36 ~ Joining forces with Healthcare Without Harm. 19:09 ~ Leveraging cost with sustainable farming methods while working with large food vendors on contract. 23:24 ~ Challenges for finding and retaining hospital chefs, and an innovative solution. 43:16 ~ The changing roles of doctors and hospital leadership in improving hospital nutrition. 49:05 ~ Chef Alison's consultancy services. 53:35 ~ The surprising reason many chefs leave restaurants for hospitals. How much trash do you generate in a year? Today's guest heretic, Kathryn Kellogg, will teach us a thing or two about the simple steps we can take to minimize the impact of our actions on soil and waterways. We'll compare long and short term costs of our decisions and take the romance out of minimalist living, while keeping the extra cash we save in our pockets. Kathryn Kellogg, the founder of Going Zero Waste and forthcoming author of 101 Ways to Go Zero Waste, breaks eco-friendly, sustainable living down into an easy step -by-step process with lots of positivity and love! All of her trash for two years fits in a 16 oz mason jar, but don’t let that intimidate you. Her blog is full of small, actionable tips you can implement to make the world a little greener. You can connect with Kathryn through her website, Going Zero Waste, Facebook, Twitter, Instagram, Pinterest, and YouTube. 09:20 ~ Paper or Plastic? It's more complicated than that. 15:26 ~ How to produce only 8oz of garbage a year; how it began. 18:54 ~ Government hindrance in going zero waste. 24:52 ~ The experiment in Tiny Home living. 34:21 ~ Financial benefits of zero-waste living. Welcome back to the second half of our interview with Jennifer Scribner, author of From Mac & Cheese to Veggies, Please: How to get your kid to eat new foods, end picky eating forever, and stay sane in the process!In the first half, we discussed Jennifer's own challenges as a picky adult and her top 3 strategies for getting kids eating. In today's episode, I put her on the spot on how to use those strategies to get real food into some of the pickiest eaters I've known; including a boy who defiantly tried to starve himself instead of eating dinner, and another whose diet is little more than white bread, Cheerios, peanut butter and white rice with nothing on it. Jennifer Scribner is a Nutritional Therapy Practitioner, Restorative Wellness Practitioner, and Certified GAPS™ Practitioner. Her specialty is helping people learn and follow the GAPS Diet to address autism and complex digestive and autoimmune conditions. She is one of the first Certified GAPS™ Practitioners trained by Dr. Natasha Campbell-McBride in September 2011. Her other passions include her family, Hello Kitty, and plotting how she can move to Hawai'i. If you’re new to the GAPS Diet, grab a copy of her simple explanation in the FREE e-book, The GAPS Diet in a Nutshell, on her website, Body Wisdom Nutrition. You can also find Jenn on Facebook, Twitter, Pinterest, and Instagram. From Mac & Cheese to Veggies, Please: How to get your kid to eat new foods, end picky eating forever, and stay sane in the process! 02:33 ~ What an extreme reaction to the diet could mean. 06:43 ~ Is it okay to 'sneak' healthy foods into a meal? 09:52 ~ Top tips for a child who eats nothing. 19:22 ~ Jenn's toughest case success story. 24:08 ~ Maintaining a nutritious lifestyle. What happens when you have a kid and then realize that diet has everything to do with their health and well-being? Improving your diet can be a challenge, but changing the diet of your picky eater can be torture…. until you hear today’s guest. Jennifer Scribner has been working with families affected by autism spectrum disorders. And in case you didn’t know, children on the spectrum (and many adults) are the fussiest eaters around. In her new book, From Mac & Cheese to Veggies, Please: How to get your kid to eat new foods, end picky eating forever, and stay sane in the process! she teaches parents how to navigate the turbulent waters of implementing a nutritious diet for children who refuse to eat anything but white flour and sugar. In this episode, she tells us why children get picky in the first place and her 3 top strategies that parents can use to turn that around. Don't forget to listen to the second half of this interview when Jennifer is put to the test when Adrienne presents her with real life examples of some of the pickiest eaters she's known. Jennifer Scribner is a Nutritional Therapy Practitioner, Restorative Wellness Practitioner, and Certified GAPS™ Practitioner. Her specialty is helping people learn and follow the GAPS Diet to address autism and complex digestive and autoimmune conditions. She is one of the first Certified GAPS™ Practitioners trained by Dr. Natasha Campbell-McBride in September 2011. Her other passions include her family, Hello Kitty, and plotting how she can move to Hawaii. 05:00 ~ How kids become picky eaters to begin with. 12:12 ~ Jenn's inspiration for writing From Mac & Cheese to Veggies, Please. 13:34 ~ The tools and attitudes that help parents successfully change their children's diets. 15:34 ~ Useful tips for changing to a healing diet when a child is is in the regular school system; how not to be sabotaged by teachers and other parents. 19:31 ~ How long it takes for children to turn around once they start. 23:58 ~ How to get kids involved and on-board for change. 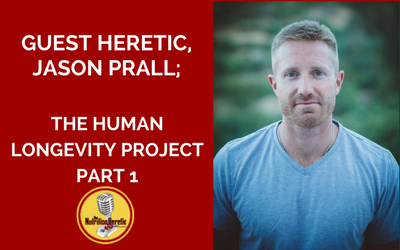 Welcome back to the second part of our interview with Jason Prall of the Human Longevity Project. Last week Jason shared the dietary wisdom we can glean from the world’s oldest inhabitants. Today, he’ll tell us about the meaning of life for people living in the Blue Zones and the most surprising takeaways from his film. You can go watch his film for free starting May 7th click here to sign up. Jason has traveled the world for the last 15 months, to all the Blue Zones (Costa Rica, Greece, Italy, Okinawa) - and interviewed the world's leading researchers, doctors, experts, authors, etc... on building true health, healthy aging, and longevity. 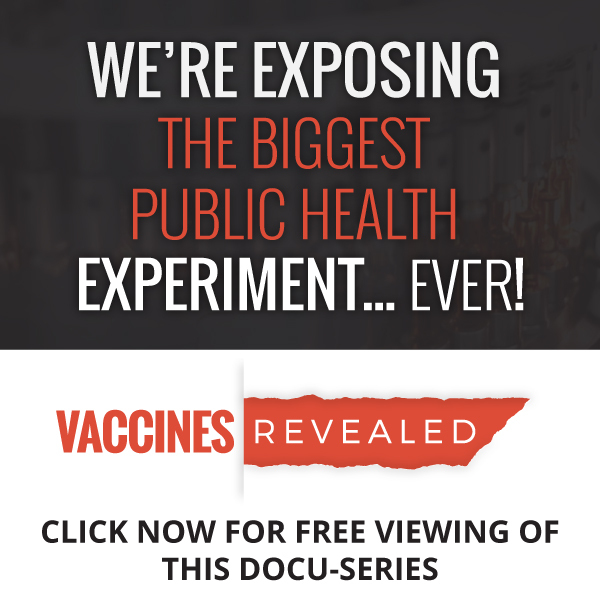 You can learn more about the Human Longevity Project through their website. 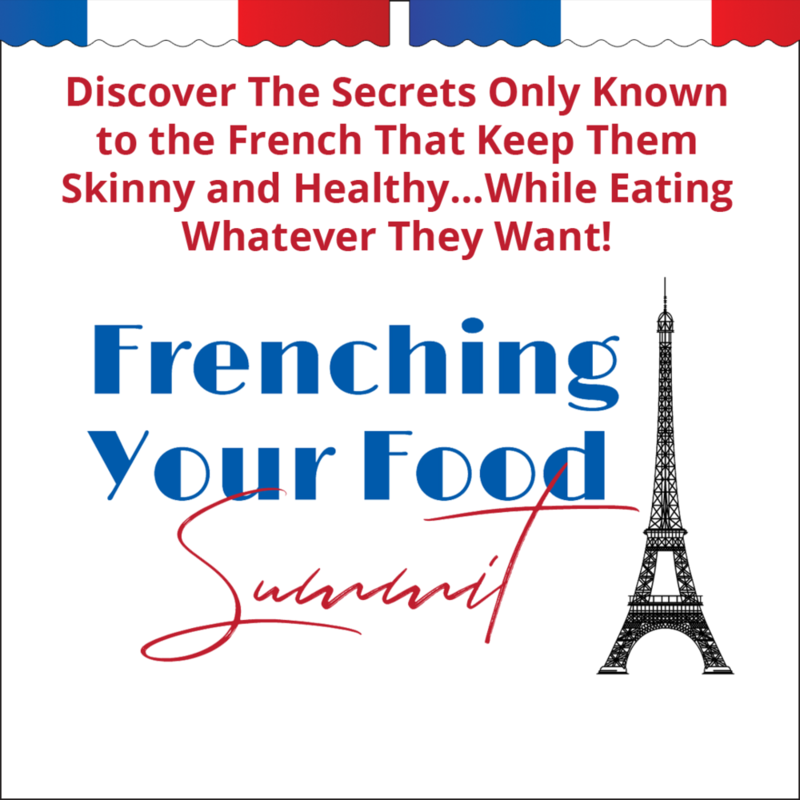 09:25 ~ Parallels between the Frenching Your Food summit and the Blue Zones. 10:48 ~ What people will find most surprising about the Human Longevity Project. 17:16 ~ How people can start applying the principles they learn in the film without getting neurotic and setting up the very stressors that they want to avoid. 20:39 ~ In Praise of Slowness. 25:12 ~ Steps to creating community for those who don't have one. 36:12 ~ How American culture has made it difficult to reach out to others. 44:11 ~ The role technology will take in longevity. Jason Prall is not only a Longevity and Optimal Health Practitioner, he is the writer, director and producer of The Human Longevity Project. We talk about why Cuba should be the next Blue Zone despite the fact that Cubans eat a diet high in pork fat. You can watch his film for free starting May 7th, click here to sign up. Don't miss part 2 of the interview where Jason tells us about the lifestyle and mindset of the world’s oldest inhabitants. 03:50 ~ Historical context of the Blue Zones. 08:20 ~ The role of animal protein in traditional cultures. 16:07 ~ Why Cuba is not a Blue Zone. 18:45 ~ Cultural culinary traditions and adapting to the environment. 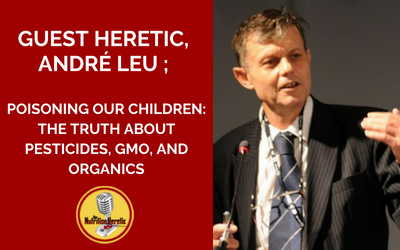 41:45 ~ The role of microbiota and why you can't take the moral high ground. 48:32 ~ How context, lifestyle, and community build a framework that exists around the world. Our Guest Heretic, Josh Gitalis, is here today to tell us why fat, calories and exercise are often only part of the weight loss equation. We're talking about our endocrine system, and more precisely how a toxic load from everything from your pajamas to pesticides are a major cause of excess fat storage. 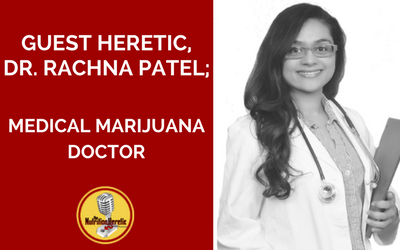 Plus, we talk about his Clinical Nutrition program to help practitioners hone their skills in helping clients with a wide range of conditions. We’re getting the lead out today! 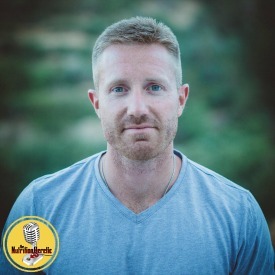 Josh Gitalis, Clinical Nutritionist and Functional Medicine Practitioner, is a recognized expert in the fields of clinical detoxification and therapeutic supplementation. He runs a Toronto-based, private practice with a worldwide client base. As a leader in his field, Josh teaches Clinical Nutrition for several natural health colleges and is the first Canadian nutritionist to become an Institute for Functional Medicine Certified Practitioner (IFMCP). 03:58 ~ Obesogens; what are they? 05:19 ~ Some of the most surprising obesogens. 16:45 ~ How obesogens can be removed from our bodies through the 5 channels of elimination. 21:31 ~ Josh's favorite non-obesogen cookware. 24:08 ~ How vegetable oils upset our endocrine system. 26:26 ~ Canola oil; the process that turns it from good to bad. 28:44 ~ You are what you eat eats; how this can contribute to an imbalance between Omega-3 and Omega 6. 39:31 ~ How vegetables and legumes also contribute to this imbalance. 47:21 ~ Functional Nutrition Certification program. 43:07 ~ How to make changes without getting neurotic. Vitamin A, magnesium, DHA…. what’s the difference between vitamins and minerals? And does it matter if we get them from food versus supplements? 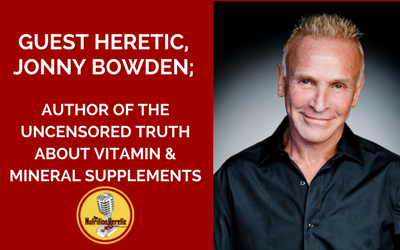 This week we talk with the man who wrote the book on The Uncensored Truth about Vitamins and Mineral Supplements — Dr. Jonny Bowden. Known as the Nutrition Myth Buster, Dr. Jonny dishes up facts about everything from fish oil to red wine heretic style with a side of bacon. Jonny Bowden, PhD, CNS, also known as “The Nutrition Myth Buster” ™ is a nationally known board-certified nutritionist and expert on diet and weight loss. Dr. Jonny is the best-selling author of 15 books including Living Low Carb, The 150 Healthiest Foods on Earth, and (with cardiologist Stephen Sinatra), the controversial best-seller, The Great Cholesterol Myth. 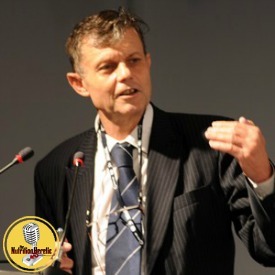 He is a consultant with the Cenegenics Medical Institute. Follow Jonny on Facebook and Twitter, as well as his website. 02:01 ~ Potassium iodide - it's not for everyone; find out why. 06:53 ~The difference between vitamins and minerals and do they work differently in the body? 14:20 ~ How supplements differ from naturally occurring vitamins and minerals. 15:19 ~ Misconceptions about getting enough vitamins or minerals from either plant or animal sources. 20:21 ~ What fat soluble vitamins are and why there is such a focus on them. 27:55 ~ The effect of cooking on vitamins vs. minerals. 35:35 ~ How to keep your sanity when it comes to the overwhelming array of supplements. 37:10 ~ The ultimate list of recommended supplements. 42:43 ~ The role of probiotics. 54:24 ~ What are some misconceptions about sodium? 57:35 ~ A special offer from Jonny.